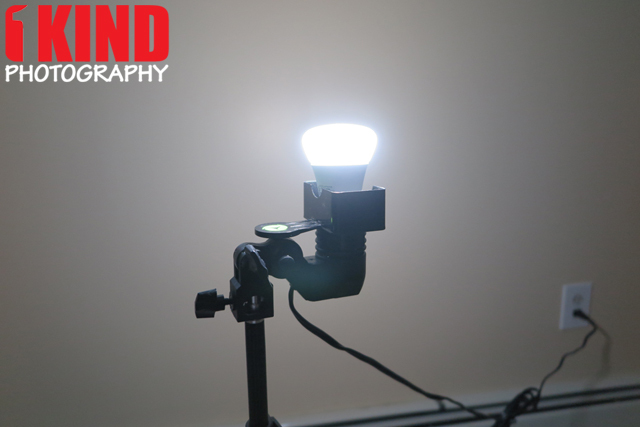 Overview : The Gary Fong Lightbulb Adapter Kit holds a standard light bulb and offers a constant light source for photo and video shooting. 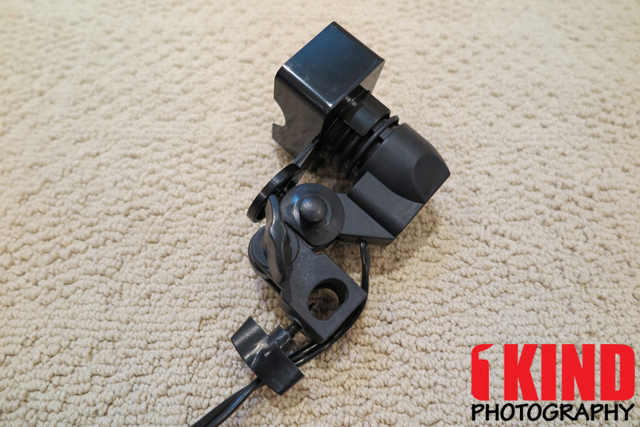 This adapter is capable of being mounted on a standard 5/8" light stand for convenience and includes an adapter for using the 5th generation Lightsphere Collapsible as well as the SpeedSnoot for more control over the lighting setup. This version features a North American AC power plug for providing power. Kit also available with Europlug. 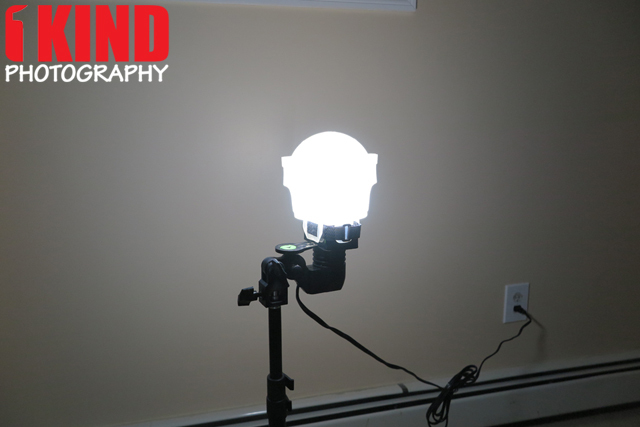 Quality/Usability : Sometimes, it can be hard to find a constant light source for portrait shooting or video shooting that is portable enough and can accommodate your shooting style. Gary Fong has released a Lightbulb Adapter Kit. 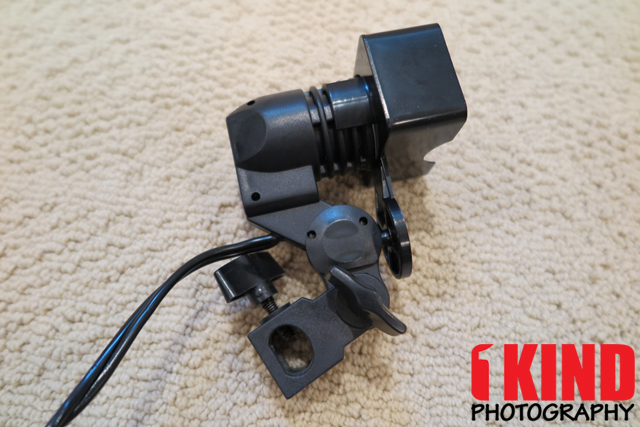 The adapter is capable of being mounted on a standard 5/8" light stand. 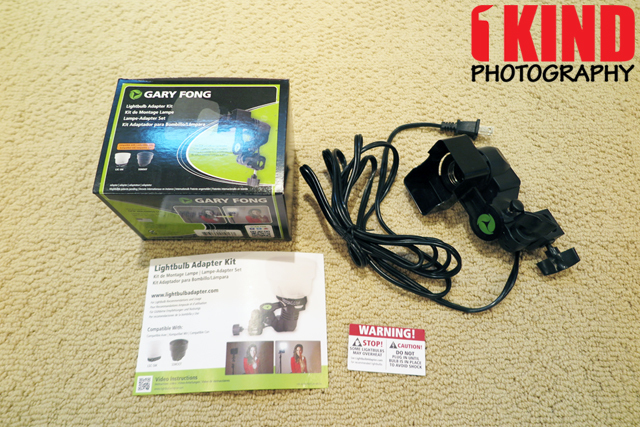 The Gary Fong Lightbulb Adapter Kit includes the lightbulb adapter, adapter to attach a 5th generation Lightsphere Collapsible or SpeedSnoot, and pamphlets. 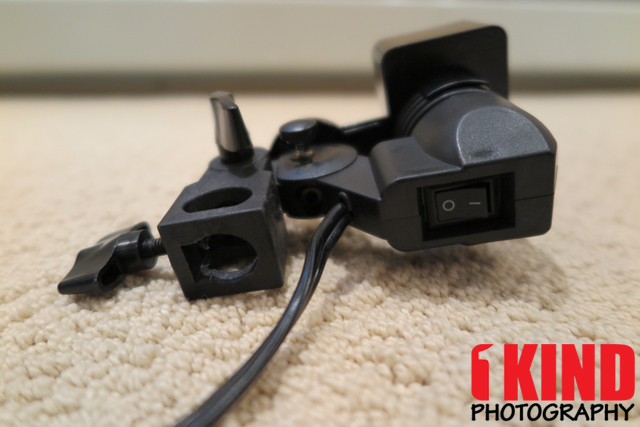 The Lightbulb Adapter is available with US plug or European plug. Out of the box, the Lightbulb Adapter will look like the image on the left. Only issue with this is that the knob will get in the way of the wire and the Lightbulb Adapter won't be horizontal. To fix this, it would require you unscrew the side knob and flip the base around (as shown in images in the middle and on the right). 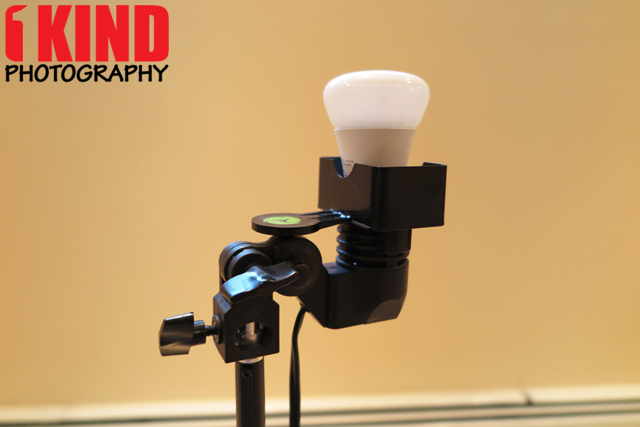 The Lightbulb Adapter can be mounted onto a standard 5/8" light stand. On the back is a ON/OFF switch to turn the light on and off. One thing that I hope that is fixed is the knob positions. 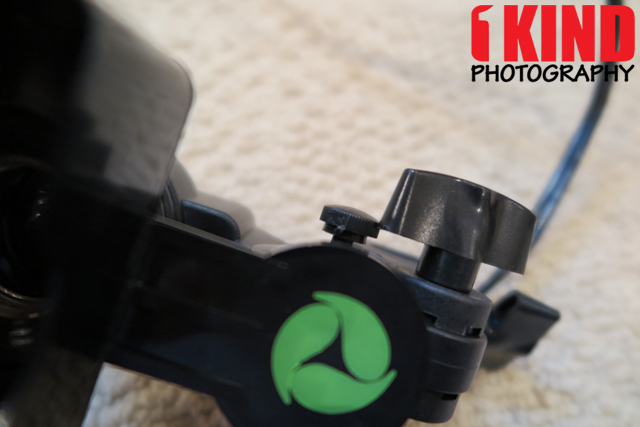 When using the Lightsphere Collapsible adapter, the small screw knob sticks out a little which would interfere with the side knob. Everytime you turn the side knob, it touches the small screw and you would have to force it. This wouldn't be a problem if the Lightsphere Collapsible adapter was not there and the small screw can be screwed in more. 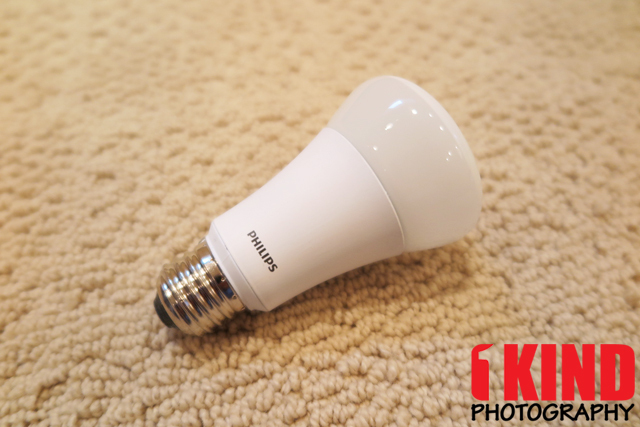 One item that Gary Fong suggests getting is the Philips 11-watt Dimmable, A19 LED Household Daylight Light Bulb. 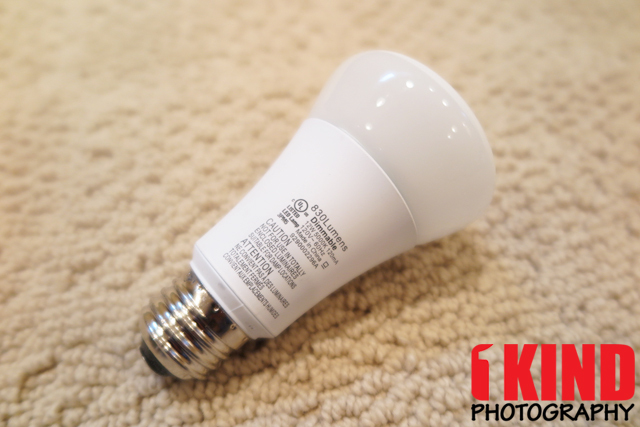 It requires less power and lasts longer since it is LED and the bright is brighter and more whiter in terms of color temperature. 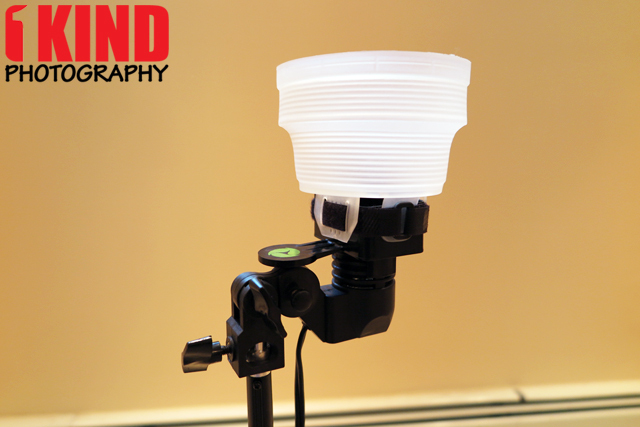 The Lightsphere Collapsible adapter is only required if you're using the Lightsphere Collapsible. Otherwise, you can remove it if you want. 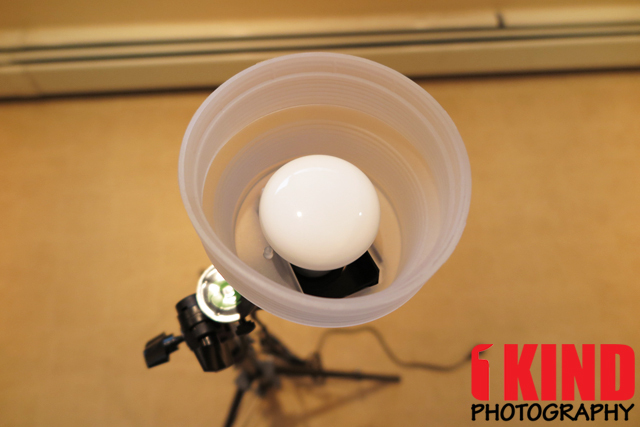 The images above is with the Lightsphere Collapsible attached to the Lightbulb Adapter kit. The images above is with the LED bulb turned on. 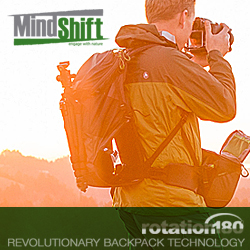 With the Lightsphere Collapsible, it softens the light. 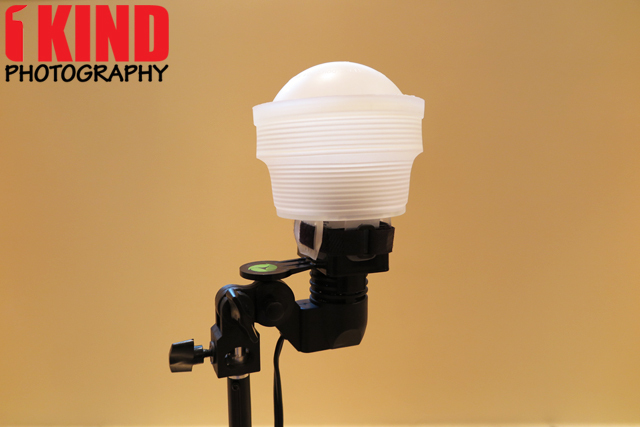 The Lightbulb Adapter Kit can be used as a light source to provide lighting to your subject or it can be used as background light whether it's a white light or a colored LED. 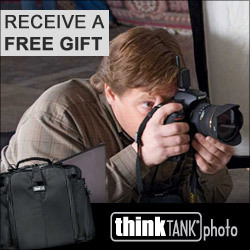 Conclusion : Overall, the Gary Fong Lightbulb Adapter Kit with AC Power Plug helps offer constant light to your subject. 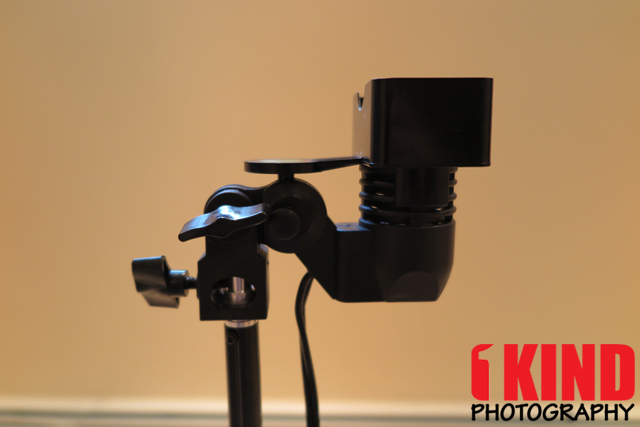 I love the fact that it can be attached to a standard light stand and still be portable at the same time. Even though it is a minor issue, I hope the issue with the side knob hitting the side screw is fixed. 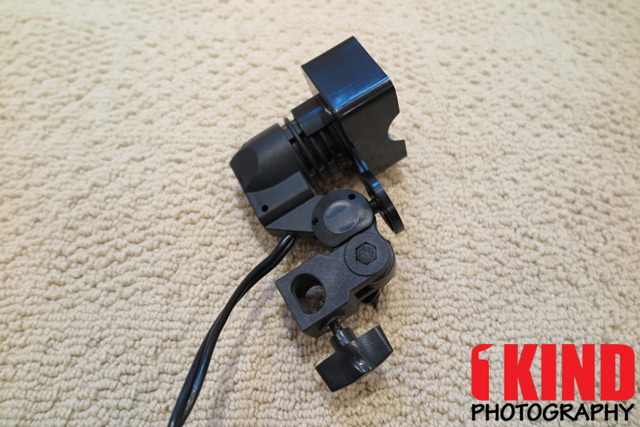 Even if you don't use the Lightbulb Adapter for photography use, it's great to use just as a light source whether it be used as a lamp or when you're working in the workshop/garage.